Dahlia Nails: It's our birthday! 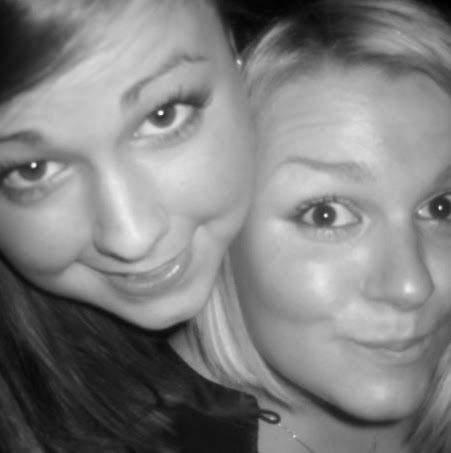 Today is Dahlia Nails' two year anniversary, we can't believe how quickly this time has gone, it's absolutely flown by! It's incredible to look back and see how far we have come, recreating some of our early designs has been really fun. We're always shocked to see how much they change! This year has had many highlights including a complete face lift, working with new brands and publications and finally reaching the 10,000 mark on Instagram (wow!) It's been so much fun to keep creating new designs and searching for interesting inspiration and ideas. We hope you've shared our enjoyment over the past year, we're immensely grateful for your support. To celebrate the day we're sharing our favourite posts from throughout the past year. We'd love to know which ones were your favourites too! You can check out what we got up to the previous year (and laugh at our awful designs) in last years blogiversary post here. This Zoella Beauty inspired critter absolutely smashed it on Instagram last year. With over 700 likes we're pretty sure it's our highest ranked IG post so far. We hope some of you Zoella fans have stuck with us since then! You can view the original post here. 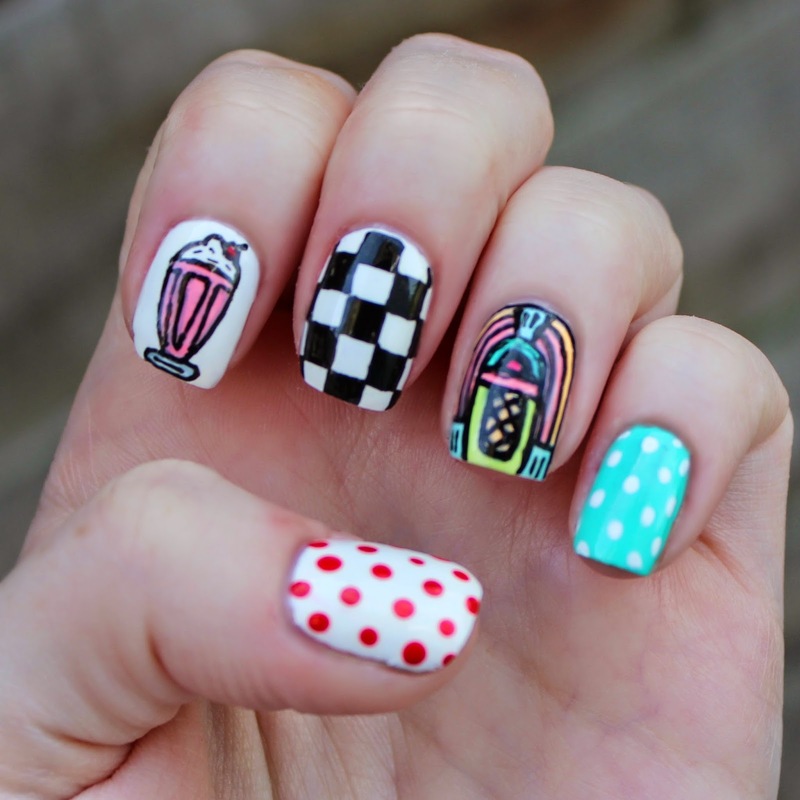 This super cute fifties design was actually commissioned by a brand. Unfortunately it never got used but we didn't mind as we still get to share it with you all here! You can view the original post here. We were loving Barry M's Glitterati range as we headed into November and the start of the party season. The glitter toppers are so versatile you can even create freehand geometric designs without a gloop in sight! You can view the original post here. 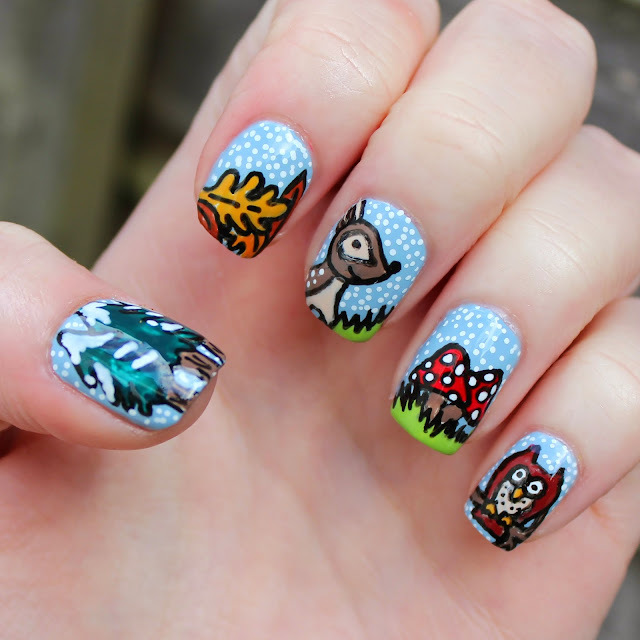 December was so tough to choose as we created a load of fun Christmas themed nails but this cute woodland scene stands out. If we could have 10 favourites for December we would! You can view the original post here. BANANA! 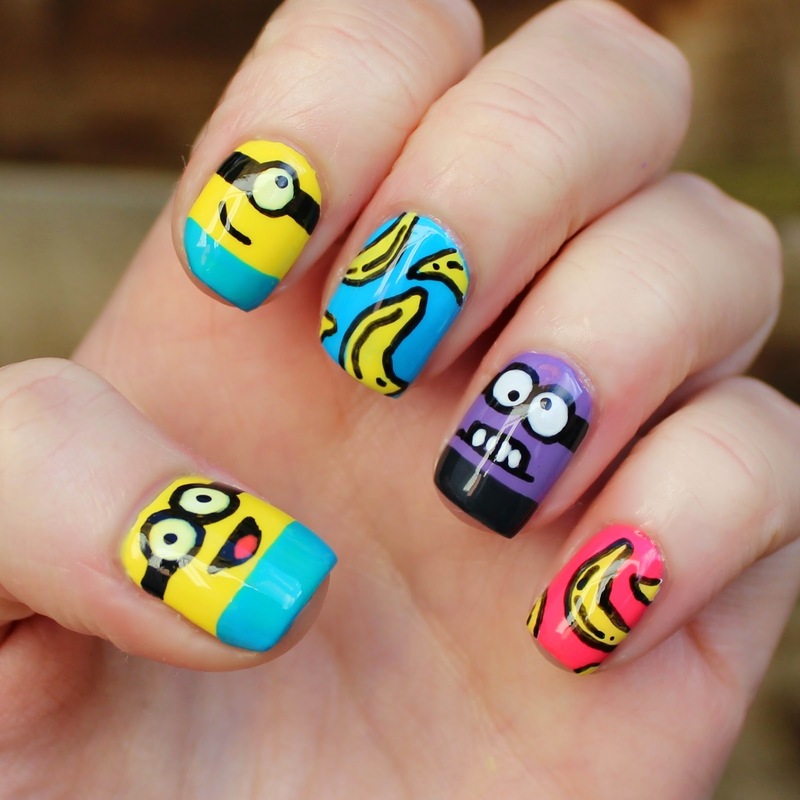 January brought Minions to our nails, we just couldn't resist the craze any longer! Ok so we probably wouldn't wear this design to work but hey, it's great fun! You can view the original post here. This year Rimmel London were involved with Red Nose Day and asked us to help them support the cause by creating a nail design. We got so excited by the idea that we did two. This is Jo's creation, Astrosnort floating around in space! You can see the original post here. When we finally got our hands on Models Own Chrome Rose we set straight to work creating some nail art. 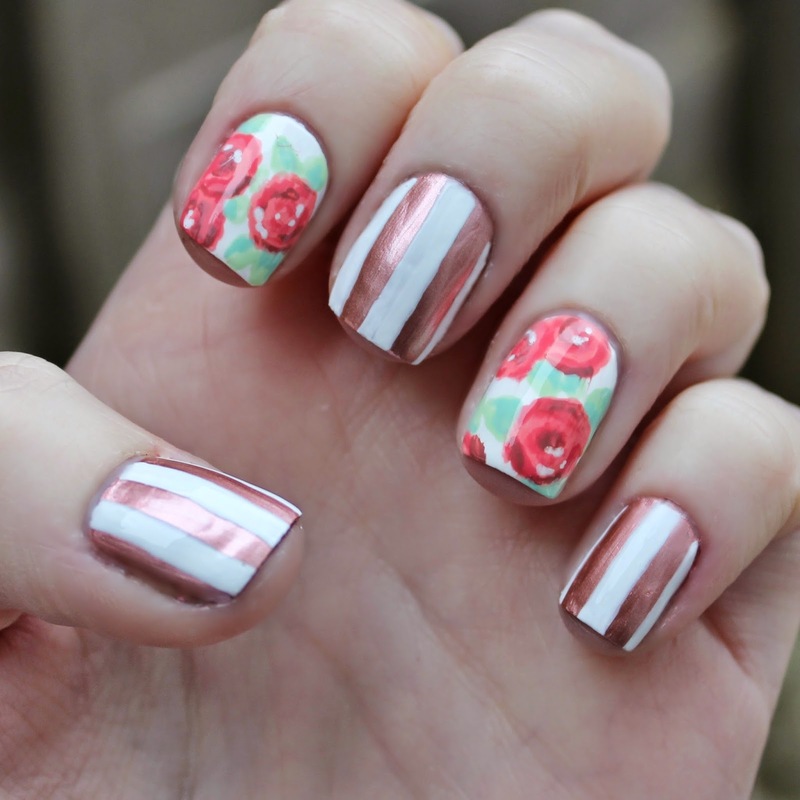 Being March we included florals and used the rose polish for some striped accents. You can view the original post here. 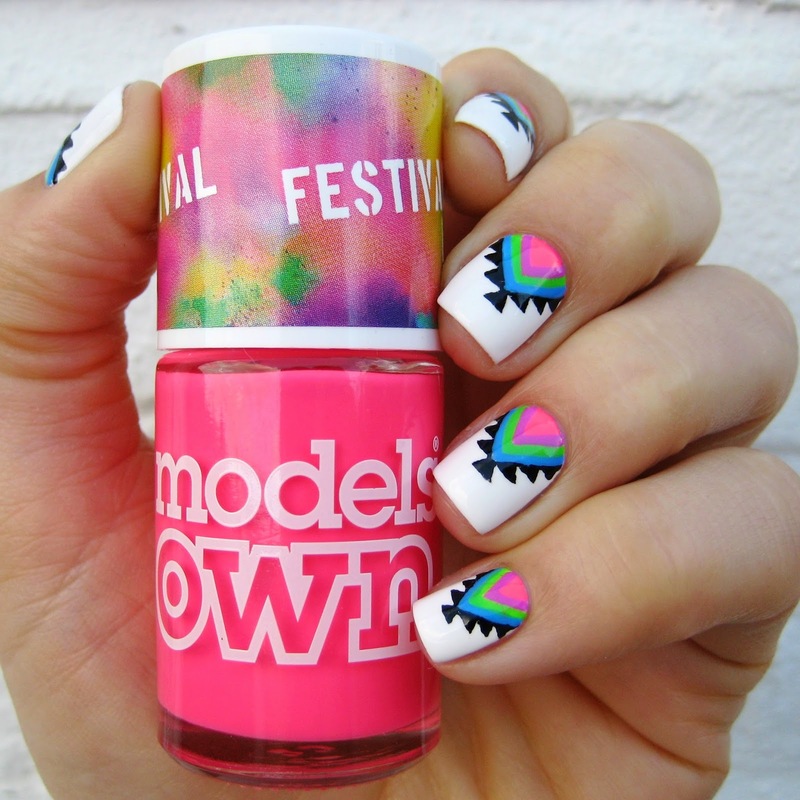 Another new Models Own release, this time the Festival collection. It just seemed right to use this collection to create a bright aztec mani. What is it with aztec patterns and festivals?! You can see the original post here. May was another great month for us with tons of awesome designs (if we do say so ourselves!) It was tough to choose a favourite but this macaron mani just scraped it. We used all of Rimmels spring pastels collection, another new release! You can view the original post here. 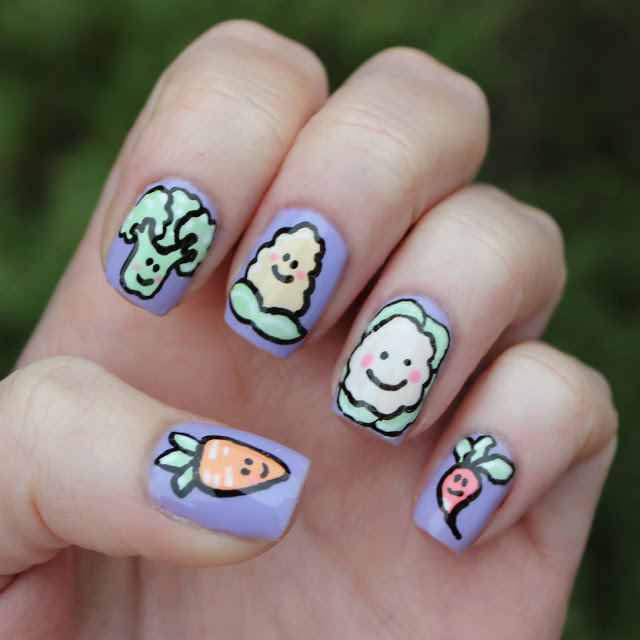 We did a lot of work with Beauty at Tesco over the past year and this design was commission by them to mark 'Eat Your Veggies Day'. There is a day for everything, who knew! We would probably advise eating your veggies every day though... You can view the original post here. Barry M Speedy Nail Paints have featured heavily in our work since they were released earlier this year, it would not be a complete round up if we didn't include them! This design was inspired by Jo's ideal wedding colour scheme. You can view the original post here. 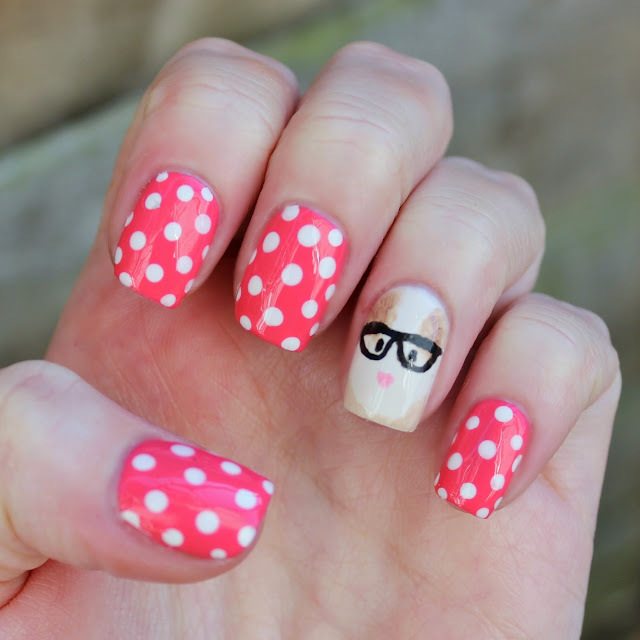 Last but not least August brought our first fun with nail stencils from Nail Mail UK. Stencils allow us to create much more precise designs such as these funky mermaid scales. We'd definitely recommend them for all ability levels! You can view the original post here. There were so many designs we would have included in this round up but we're sure there's a size limit for posts which would have been massively exceeded!